The welfare workers reported their concerns to law enforcement and on or about Kato’s 111th birthday, police forced their way into his home – and what they discovered was shocking. Authorities were unconvinced by this story, likely for several reasons, but in particular given the fact that the family continued to collect Kato’s pension benefits, despite the fact that even Kato’s widow had been dead for six years. At the subsequent fraud trial of his daughter and granddaughter, it was revealed that they had illegally accepted nearly 9.5 million yen (about $117,000) and withdrawn about 6 million yen ($75,000) of it. The discovery of long-dead Kato set-off a nationwide search to verify the location and liveliness of Japan’s other centenarians, and only then did authorities realize they had no idea if more than 200,000 people, who would be older than 100, were even still alive – never mind where some of them were. Of course, keeping a death a secret so you can continue to accept the deceased’s benefits is not unique to Japan. In the United States, it has been reported that over the years the Office of Personnel Management has paid out more than $1 billion to dead federal retirees, while the Department of Agriculture has paid out a similar amount in the form of disaster assistance and farm subsidies to people who no longer existed. The Internal Revenue Service has likewise provided hundreds of millions in refunds to dead people. Even worse, according to a 2015 report from 60 Minutes, the Social Security Administration has no idea how much it’s improperly paid in retirement and disability checks after the recipient has died. 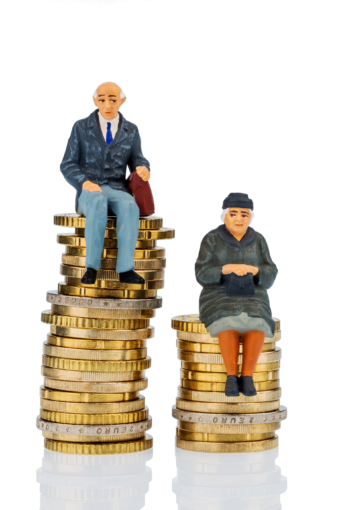 The Office of the Inspector General recently reported a couple of notable Social Security defrauders, one of whom, in Virginia, had continued to collect her grandmother’s benefits for 10 years after death – to the tune of $152,000. She was sentenced to 6 months in prison for her crime. Even more shocking, a Pennsylvania man admitted that he continued to cash his dead mother’s benefit checks for 40 years after she died! Pleading guilty to federal charges, the man was sentenced to 10 years in prison and given a $250,000 fine. Not everyone who defrauds with death’s help is related to the deceased. In 2013, an Oregon woman received a four-year sentence for continuing to collect about $200,000 in Social Security benefits of a disabled man who had lived with her in an unlicensed adult foster home; apparently, she disposed of the body by burying him and covering him with lime on a relative’s property. And in yet another heartwarming story, a Queens son allowed his father’s body to remain in the morgue, unclaimed, for more than a year, while he collected approximately $25,000 in his father’s Social Security and private pension benefits. He was sentenced to six months in jail and given a fine roughly equivalent to the benefits he illegally received.